Our week-long diving cruises start on Saturdays. We guarantee a minimum of 14 dives (incl. two-night dives). Your cylinders, air refills, weight belt, and weights are included in the price, along with your breakfasts, lunches, afternoon teas, evening meals, and accommodation. All cabins (three twins, and four double) are ensuite. All other diving equipment is available for hire. See Hire of Equipment, below. These cruises are designed for non-divers and guests not wishing to dive yet still wanting to enjoy the sun, sea and land visits. Prices include accommodation, meals, and transport to land visits. These cruises are for those who would like to mix the pleasures of the land and the sea. Cruise to places of interest and walk to visit historic and scenic sites. Price includes accommodation, meals, and transport to land and guides. Any loss of or damage to equipment must be paid for. 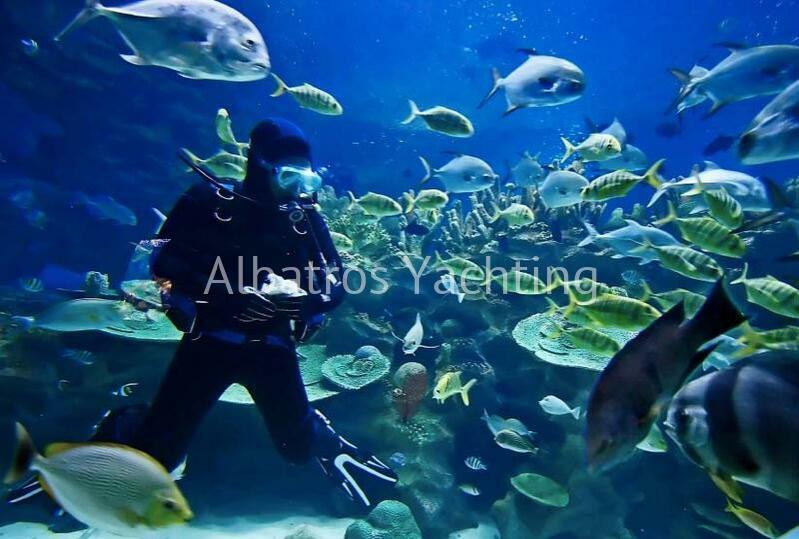 Make a visit to the underwater world by taking the opportunity of a one-day introduction to scuba diving. Five days of diving and theory lessons will qualify you to dive up to 18m anywhere in the world. Three days in which you will increase your diving knowledge and experience. Five dives: two of which will be navigation and deep dives. The others are of your choice – multi-level, night, boat, search and recovery to name but a few. A most important one-day course in which you learn how to deal with emergencies, administer first aid, and recognize diving related illnesses. These two days will equip you with the knowledge and skills to recognise problems, prevent problems occurring, and perform rescues. Cruises leave from Fethiye Harbour at noon on Saturdays and return to Fethiye the following Friday in the morning. Hotel bookings are available, should you wish to extend your holiday on land. Guests are recommended to arrive late Friday evening or early Saturday morning. The nearest airport is at Dalaman. Transfers from and to the airport are not included. Land visits are made during cruises to harbors of neighbor towns, and to historical sites. Various excursions are available Friday afternoons: Saklikent Canyon; Tlos (the home of Pegasus); Kaya Köy (the ghost village); Scooter safari; Fethiye stray dogs and cats home. Dives, dive guide, air fills and weights. Breakfast, lunch, afternoon tea, evening meal, and mineral water. Transport to and from land visits. Windsurfing, masks, snorkels, and fins for non-divers. Flights. Insurance. Visa fees (£10 per British citizen payable at the airport). Diving equipment (unless taking the open watercourse). Donut rides DPV and water-skiing. Informal comfortable clothing for onboard. A sun hat and lightweight long sleeved shirt are recommended. Comfortable shoes for walking in. Early and late season a jumper or polo neck. Diving equipment, swimming costumes, and a beach towel for on deck or the beach. A two pin plug adapter for your electrical appliances. The voltage is 220 volts AC on board and on land. There is diving equipment available for hire on board.